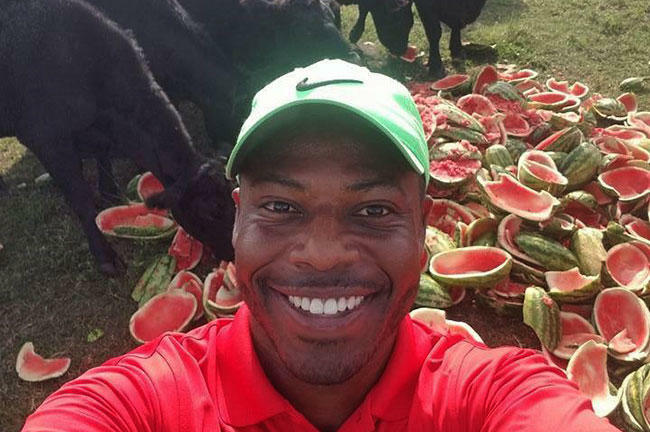 USF alum & AquaMelon founder/CEO Dez Williams donates the leftover watermelon rinds from his company's juice to local farmers, as apparently, cows love them. Extended University Beat interview with USF alum & AquaMelon founder/CEO Dez Williams. Williams is a good subject to start with. The 35-year-old graduated from USF in 2014 with a master's in entrepreneurship. But before that, he not only built the foundation of AquaMelon, he also helped start an engine that continues to help student entrepreneurs years later. More on that in a moment - first, a little about Williams' company and its products. "We literally peel watermelons and we squeeze them into a bottle, so this is the closest thing that you're going to get to a fresh slice of watermelon," Williams said. "Watermelons are 93% water by weight, they're also packed with antioxidants and amino acids, which many athletes use for muscle recovery." 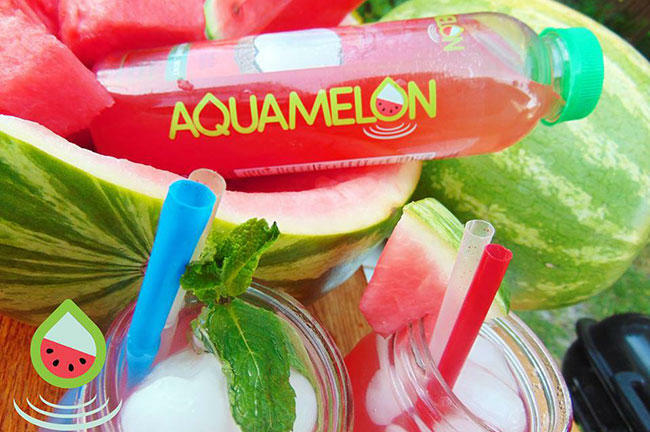 AquaMelon offers three varieties: its signature watermelon juice, a watermelon and coconut water blend, and a melange of watermelon, coconut water, lime and mint. A fourth featuring ginger flavor, is expected to be released this spring. AquaMelon currently has five full-time employees and Williams is keeping things local, with all the watermelons grown in Florida and then taken to a manufacturing plant in Dover that opened in Dec. 2017. And when the company is done squeezing the juice out of the watermelons, the leftover rinds are donated to local farmers as a treat for cows. AquaMelon now has distribution in 60 stores around the state of Florida - what Williams calls "a strong footprint of independents" - with a goal to expand to 250 locations by the end of 2018, and national distribution somewhere well down the line. 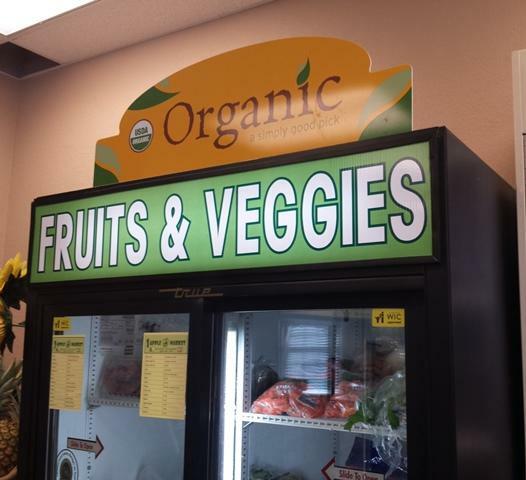 And while Florida's supermarket giant remains a goal of Williams', don't expect to see the watermelon juice on the shelves of your local Publix anytime soon. "What many small companies do is they aim for Publix immediately, naively, not understanding what the marketing costs are and also not understanding the kind of risk you put your business at," Williams explained. "If you get the opportunity to shelve at Publix and they become 90% of your business, and you invest all of those resources in scaling up your overhead so you can service one customer, and if one thing goes wrong and the product doesn't work out and Publix decides they don't want to sell it anymore, your business crumbles under the weight of the overhead that you brought onboard just to service one customer." 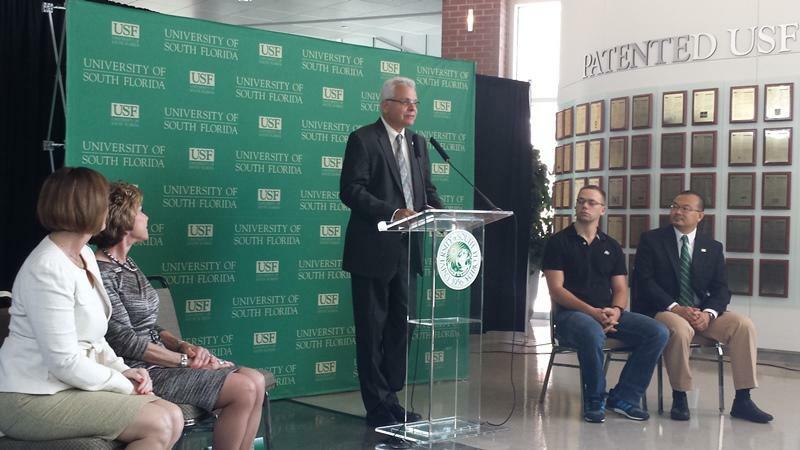 That lesson is one of dozens Williams learned at the USF Student Innovation Incubator, which AquaMelon was one of the debut members of. "In order for AquaMelon to have a catapult, we needed some resources, we needed some mentors, we needed some business leaders to help point us in the right direction, and in order for AquaMelon to get the benefit of that, we needed to build the platform or the platform wouldn't be there for us to use," he said. 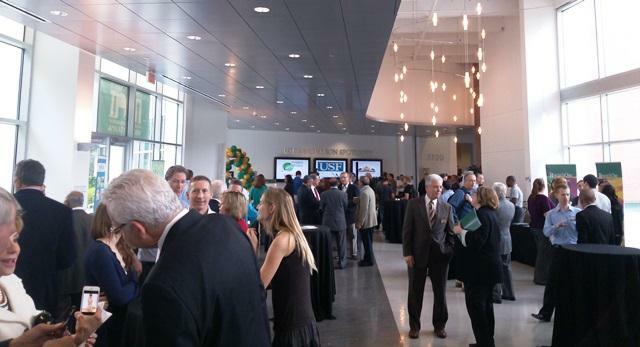 The Incubator, which is based at the USF Research Park, provides student start-ups with office and meeting space, as well as access to technology and consultants ranging from intellectual property lawyers to accountants to manufacturers. "Without (that networking), it'd be a situation where the blind were leading the blind, that's not an ideal situation," said Williams. "If you're able to get some key experience in the door to point you in the right direction as a young start-up company, I think that element is critical." And as for lessons that Williams learned at USF that he's carried with him, there's one in particular that stands out. "When you have something that's really, really good, give it away for free in the beginning. I think that you set yourself up for success that way," Williams said. "Many people are afraid to do that, but in my case, I wouldn't do it any other way." University Beat will be profiling an USF entrepreneur once a month in 2018. If you'd like to suggest a possible subject worth talking to, email mschreiner@wusf.org.